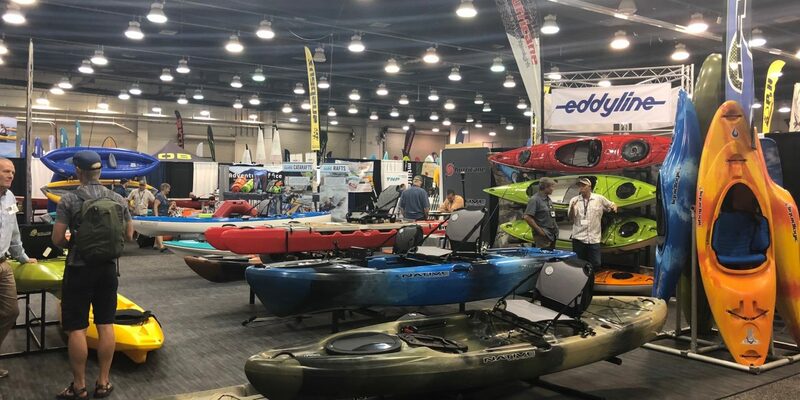 Paddlesports Retailer, the official national trade show of the paddlesports industry, has opened registration for the 2019 show, welcoming exhibitors, retailers, working media, independent reps and nonprofits. The show will take place from August 26 through August 29, 2019, at Oklahoma City’s Riversport Rapids and Cox Convention Center. The 2018 show attracted more than 500 buyers representing over 230 individual retail stores along with 140+ exhibitors showcasing 450+ brands. Attendance is expected to grow in 2019. In post-show surveys, more than 87 percent of last year’s attendees stated they plan to return. Showgoers also raved about the Oklahoma City location in 2018. The wildly-popular Demo Day at Riversport Adventure Park was the industry’s best demo ever, and the show’s downtown footprint—with easy walking access to lodging, restaurants and nightlife—exceeded expectations.